According to Russia's military doctrine, Moscow reserves the right to use nuclear weapons in case of a nuclear attack against the country, as well as an act of aggression with the use of conventional weapons. MOSCOW (Sputnik) — Russia carried out on Thursday large-scale military exercises to test the combat readiness of its nuclear triad, the Defense Ministry said. "The exercises involved practical drills of the personnel of command-and-control centers of the Russian Strategic Missile Forces, crews of nuclear-powered submarines in service with the Northern and Pacific fleets, as well strategic and long-range bombers," the ministry said in a statement. — Минобороны России (@mod_russia) 26 октября 2017 г. According to the statement, Tu-160, Tu-95MS and Tu-22M3 bombers conducted launches of cruise missiles against targets on the Kura, Pemboy and Terekta testing ranges, while a Pacific Fleet nuclear sub fired a salvo of two ballistic missiles from the Okhotsk Sea at a target at the Chizha range (Arkhangelsk region) and a Northern Fleet sub fired a ballistic missile from the Barents Sea at a target on the Kura range (Kamchatka peninsula). 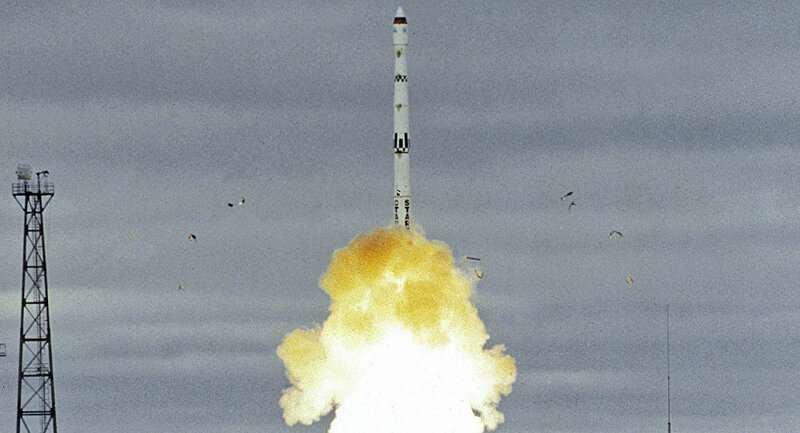 Meanwhile, a unit of the Russian Strategic Missile Forces launched a Topol intercontinental ballistic missile from the Plesetsk space center at a target on the Kura range. "The goals of the exercises were successfully accomplished as all designated targets were destroyed," the ministry concluded.